The law of child custody in North Carolina is set forth in NCGS Chapter 50-13 and is interpreted and expanded in a myriad of appellate court decisions. As Raleigh Child Custody Lawyers, we have helped hundreds of clients in child custody cases. We have developed this information to assist you, the reader, in understanding basic child custody law and its application to North Carolina Child Custody disputes. This information is not complete, and while it is accurate as of July 2012, the law is always changing. We encourage you to use our website and others like it to learn as much as you can about North Carolina Child Custody Law and other North Carolina Divorce Law issues; however, understand that this is general information and should not be relied upon as legal advice. Nothing can replace the assistance and advice you receive by hiring an experienced divorce lawyer. One of the first things to understand about North Carolina child custody cases is that each case is different, and no two cases should be approached the same way. It is also true, however, that there are certain issues that Courts will consider in most child custody cases, and certain general legal principles that are important to understand. We hope this information, prepared by our child custody attorneys, will help you better understand the law and how it is generally applied in custody cases. Child custody is determined according to the standard of the child’s “best interests.” This means that a Court’s primary concern when considering an award of custody is what will actually benefit the child the most, rather than what benefits the parents, other family members, or the state. This concept is central to any determination of custody by a North Carolina Family Law Judge. The best interests of child requires a Court to hear and consider significant amount of evidence, and that evidence must be prepared and presented by the parties, as the Court will generally not make any independent inquiries into the child’s life or the parties. In other words, it is up to you to “prove” your case and not the Judge. If you have an attorney, that attorney will prepare your case (with your help of course) and ensure that the evidence is presented correctly. How Does the Court Determine the Best Interests of a Child? Courts consider many factors when determining what actually is in the child’s best interests. Naturally, a Court will have to consider what the options are for the child or children in each case and weigh those options before making any kind of decision. 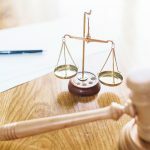 The Court must also consider the law, and gather enough information to effectively gauge what kind of custodial arrangement would best serve the child. Most child custody cases in North Carolina involve a biological mother and a biological father having a dispute over where the child will live and with whom. The Court has a simple choice of either placing the child primarily with the mother or the father and then fashioning a visitation schedule for the other parent as well as any other provisions that should be addressed. What Does the Court Look for? Let us emphasize that this list is illustrative and certainly not all inclusive. This list serves as a very basic starting point for issues to consider when preparing to present evidence for a custody case. What Do I Need to Supply for My Custody Case? For each item on the list, you will need to present evidence supporting your claim for custody. For example, for your child’s education, we would typically prepare exhibits about the school the child would attend if they lived with our client, and how that school would benefit the minor child. If the school happens to stack up poorly against the school the child would attend if living with the other party, we would look for other benefits the school offers, such as magnet curriculum, tutoring, or enrichment activities. If the school is just horrible and there is no way to show otherwise, then we would work with our client to seek alternatives, such as a magnet school, charter school, or in some cases a private school. 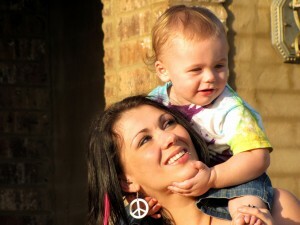 One common misconception is that the law favors the Mother in any custody dispute. This is simply not true. In the past, there was an informal presumption that a mother is better suited to be the primary care giver for a minor child; however, that presumption does not exist in law. In North Carolina in fact, there is a presumption that joint legal custody should be granted in each case, which means that absent reasons to the contrary, a Court will Order joint legal custody. Legal custody deals with issues of decision-making regarding major life issues for a minor child generally speaking. It is not directly related to where and with whom a child resides. “Physical Custody” is the term most commonly used by courts to determine the actual living arrangements of a child. There is no formal presumption of joint or equal physical custody. This decision is made on a case by case basis according the child’s best interest; however, it has become much more common for custody orders to provide for more of an equal custody arrangement between Mom and Dad. 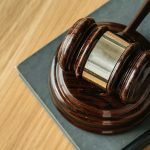 What is a Typical Court Decision for Custody? It is common for custody orders to award joint legal custody to each parent, and then award “primary” physical custody to one parent or the other. This serves the purpose of making one home the child’s primary home, and one parent the primary caretaker so to speak. Quite often the actual overnights for each parent are fairly equal in this arrangement, but Courts tend to grant one parent “primary” status. While it is not clearly defined in law, the parent with primary physical custody will typically have more of a say in day to day decision making for the child, but a Court order may specify decision making specifically between the parents concerning certain issues. “Sole” legal custody is a term that is not defined in North Carolina Child Custody Law. It is used on some occasions, which creates some confusion. Typically, it is used when the parties are not awarded joint legal custody, and the result is the parent with sole legal custody will have authority for all major decision making. When one parent has had little or nothing to do with a child, it is not uncommon for the other parent to be awarded “sole” legal custody. Sole physical custody is also more of a term of art than an actual legal directive. If one parent is denied any visitation whatsoever, a court would already be required to make special findings of fact that justify a biological parent not receiving reasonable custodial time with a child. Again, this does happen in cases where one parent has little do with a child, is abusive or has serious substance abuse issues affecting their ability to properly parent their child. What if the Court Does Not Designate the Parents in a Particular Role? Some Courts mix up or even misuse these terms. So long as the order is legible and denotes the custodial rights of each parent, the order will be valid and enforceable regardless of its failure to label each parent. A biological parent has a constitutionally protected right to spend a reasonable amount of custodial time with their minor child. This is the law of the land and is important to understand. The only way that right may be lost or limited is if a biological parent acts in a manner inconsistent with their constitutionally protected status as a parent. One way to think about your rights as a parent is that you cannot be denied reasonable time with your child unless you have not acted like a parent. This would not include simple mistakes or misjudgments as there is no such thing as a perfect parent. We would be happy speak with you and work with you to ensure your custodial rights are protected. To learn more about North Carolina child custody law, call (919) 301-8843 or complete the form below.